When researching industry information, a good first step is to brainstorm the industry by making a list of appropriate keywords, including synonyms, and related, narrower and broader terms. For example, when looking for information on the recording industry you can focus your search by using more specific terms such as recording studios or widen it to the entire music industry. To find additional keywords, try the thesaurus located in the top menu in Business Source Complete. After compiling your list of keywords, find relevant industry classification codes using the indices below. Use these keywords and codes when searching the databases and websites listed in this guide. Industry classification codes broadly classify the industry areas in which a company operates. 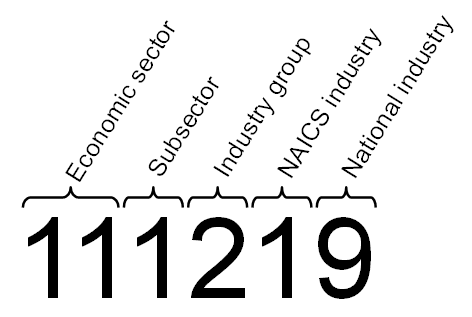 The North American Industry Classification System (NAICS) uses two- through six-digit codes and is the standard used by federal statistical agencies in classifying businesses. Developed jointly by the U.S., Canada, and Mexico, NAICS allows for the comparability of business statistics across North America. NAICS replaced the Standard Industrial Classification (SIC) system in 1997. The Standard Industrial Classification (SIC) system uses four-digit codes. Though it has been replaced by NAICS, some publishers continue to use this classification system. However, NAICS provides classifications for many more business types. The International Standard Industrial Classification (ISIC) system is maintained by the United Nations Statistics Division. Many countries around the world have used ISIC as their national activity classification or have developed national classifications derived from ISIC. ISIC is an important tool for comparing statistical data on economic activities at the international level. Detailed descriptions of the direct relationships between NAISC, SIC and ISIC classification systems.